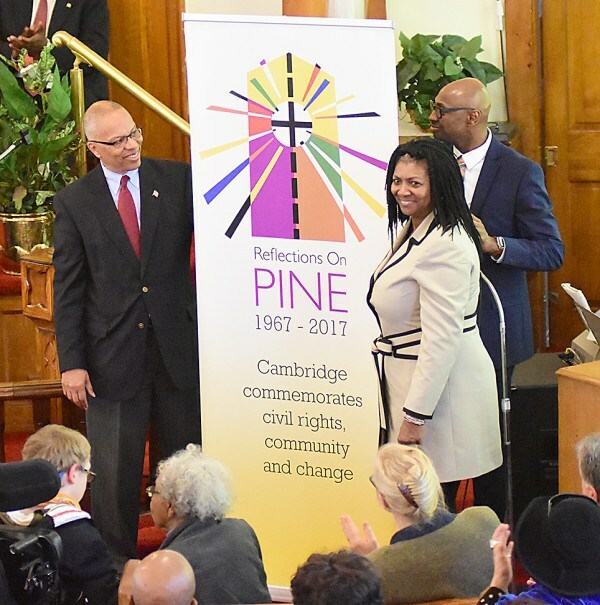 A simple, strong and spiritual brand identity for Cambridge’s commemoration of civil rights, community and change being held in July 2017. We were honored to create the logo mark and help produce a website for the Eastern Shore Network for Change and Dorchester County Tourism Office. Incorporating the location – Pine Street – with a thoughtful verb – reflect – the commemoration’s name connotes a personal, introspective spirit. Once we captured the sense of respect and illumination – we had the tone and direction needed to create a distinguishing mark for the planned events. With brand identity determined, we wanted to illustrate this historic occasion in a contemporary, uplifting and inviting manner. 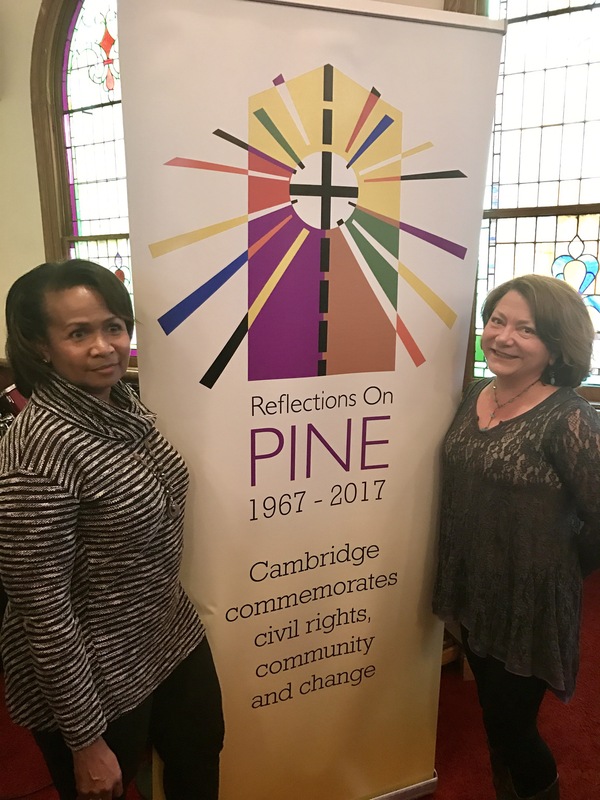 Studying landmark buildings at the epicenter of the civil unrest on Pine Street in July 1967, Choptank’s Creative Director Saundra Jones settled on the iconic Bethel A.M.E. Church window as her inspiration. From the iconic church window, Saundra incorporated a vibrant mark conveying both prisms of light and shards of broken glass from the unrest. 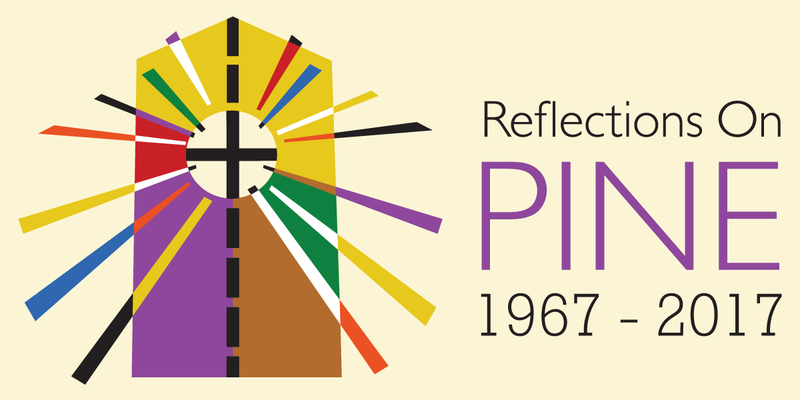 Drawing upon the AME liturgical colors for the palette, the mark features purple, gold, green, brown, red and blue. A broken line illustrating the road – and the racial divide – is also rendered as a cross punctuating the center. The word mark distinguishes the street’s name and commemoration date. The brand identity debuted February 11 along with a companion website inspired by the design. Choptank provided project management and content to launch Reflections on Pine website. Visit the site to read the articles, view photos and see a preliminary schedule of events. Eastern Shore Network for Change Co-Founder Dion Banks leads Black History Month event attendees to honor Gloria Richardson and Harriet Tubman at Bethel AME 2/11/17. Photo credit Dustin Holt. 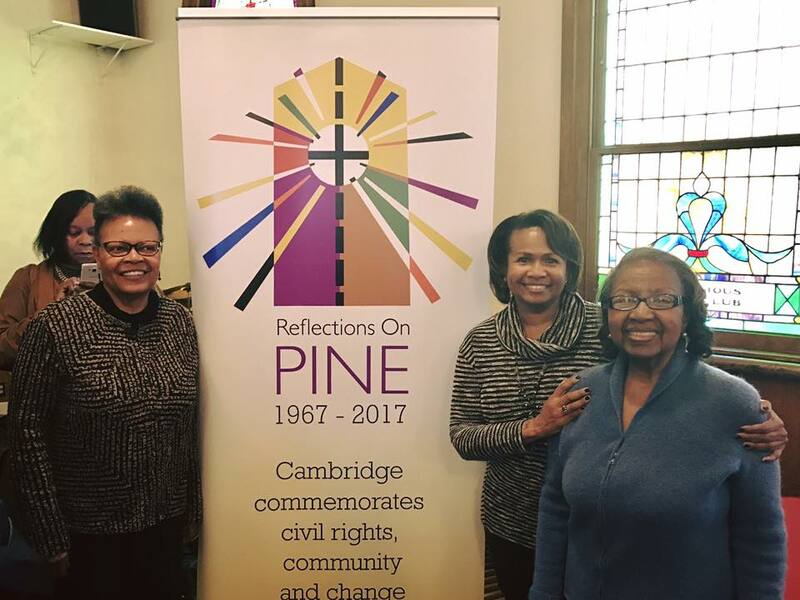 Saundra Jones was joined by her sister Sharon (left) and mother (right) at Bethel AME to see the logo she created for Reflections on Pine unveiled to the community. Choptank’s Creative Director Saundra Jones and President Andrea Vernot stand next to logo unveiled at Bethel.